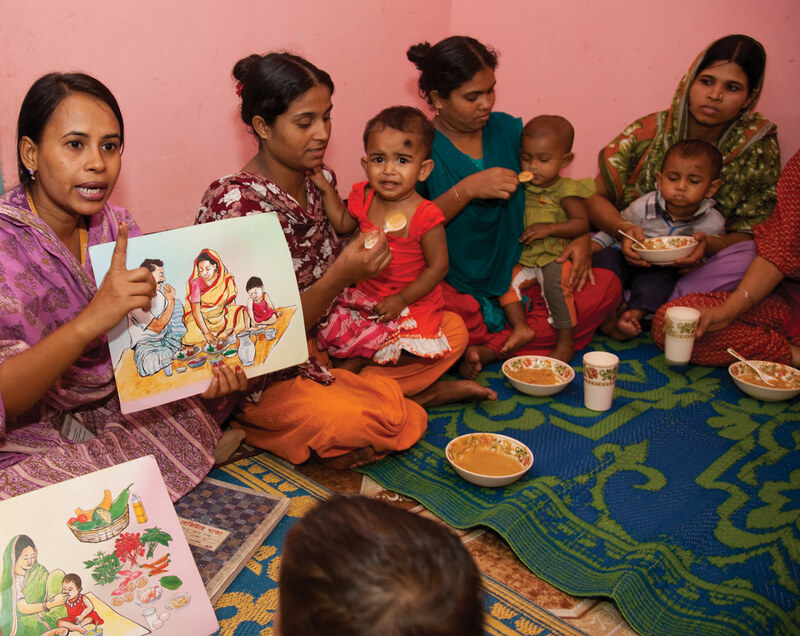 Bangladesh is developing a joint national advocacy and communication strategy for nutrition and raising awareness about nutrition through a variety of media. 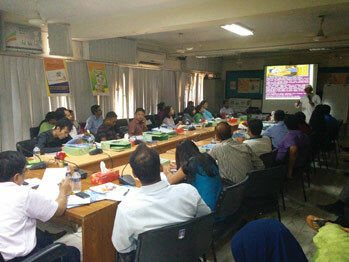 Coordinating and monitoring nutrition advocacy and communication efforts are a key challenge in Bangladesh. There are many stakeholders operating at national and district levels and a wide mix of communication channels. Significant efforts are underway to unite and mobilize stakeholders to advocate for nutrition with a common voice, bearing key audiences in mind and using clear messages. A joint national advocacy and communication strategy is being developed to improve coordination amongst relevant sectors of government and other stakeholders. This is being led by the Ministry of Health and Family Welfare’s (MoHFW) National Nutrition Services (NNS), with support from United Nations (UN) REACH 1. It is intended to bolster political will, build capacity for communication and awareness raising and promote best practice behaviour change at the community level. Since December 2013, two national level forums have been held to define goals, agree objectives, segment audiences and develop joint activities through a participatory process. The final strategy product will provide a framework for collaborative advocacy and shared key messages. Over 70 organizations from civil society, media, UN, development partners, private sector and the academic community have been actively involved. A similar subnational-level process is being piloted in the southwestern district of Satkhira 2. The UN agencies and key development partners have also come together to agree collaborative advocacy for nutrition. They developed a Common Narrative on Under-nutrition to showcase their collective will to support government in scaling up nutrition through ongoing and new actions. UN REACH has also recently produced a 20-minute film, incorporating participatory video, exploring the underlying cause of under-nutrition in the rural district of Satkhira. undernutrition. A coordinated, government led approach to multi-sector advocacy which acknowledges the vital roles of the education, social protection, women’s empowerment, food, agriculture and fisheries and livestock sectors, will create new partnerships and strengthen efficient collaboration of nutrition activities across sectors. awareness campaigns at the national and sub-national level. The MoHFW through NNS is actively engaged in promoting nutrition in print and electronic media including through the popular “Meena” cartoon and folk songs on infant and young child feeding (IYCF), the radio show “Pushtipala”, a nutrition quiz show and TV promotions for nutrition. The National Vitamin A Campaign is a nation-wide activity involving around 500,000 volunteers and all health and family planning workers (frontline, supervisors and managers from grass root to central) and also relevant ministries like the Ministry of Primary Education and Ministry of Information and Mass Communication. NNS’s Growth Monitoring and Promotion campaign, supported by the UN Children’s Fund (UNICEF), educates mothers and family members on nutrition surveillance through regular monitoring, ensuring tools are understood and readily available. Large scale events and campaigns such as these and World Breastfeeding Week continue to highlight child nutrition as a priority issue. More information on these efforts can be found at www.iphn.gov.bd. At the district level, the government is providing training to Community Management Groups (CMG) and Community Support Groups (CSG) which include elected local government representatives, women and adolescent girls. They are directly engaged in managing 18,000 community clinics that provide health, population and nutrition services to communities. If these groups can be effectively engaged in multi-sector efforts to improve nutrition, it would have an immense impact. RENEW (Reenergizing Nutrition Expanding Worldwide) – an innovative multimedia presentation experience developed by the Population Reference Bureau and Eminence, for high level policy audiences and leaders from multiple sectors of government which emphasizes the critical importance of investing in nutrition. TV talk show series focusing on multi-sectoral approaches to nutrition, anchored by civil society alliance (CSA) for SUN Secretary, Dr Kaosar Afsana; TV spot and advocacy video featuring famous national champions. Regular district and divisional level advocacy seminars focused on the ‘1000 days Window of Opportunity’, involving community level activities, such as schoolyard drama, and art and school quiz competitions that use a set of three comic books for adolescents. Orientation and training on the ‘1000 Days’ for new influential audiences. 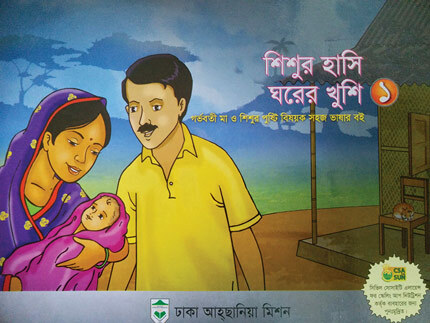 The Bangladesh Girl Guides Association, school teachers and midwives have been targeted. Opportunistic advocacy, for example, on the Working Students’ Day, SUN Global Day of Action, Extreme Poverty Day and human chain demonstrations in the lead up to SUN Global Gathering 2013. NNS has worked in collaboration with other stakeholders such as Alive & Thrive, Fanta, FHI360, Management and Resources Development Initiative, Eminence as well as Bangladesh Health Reporter’s Forum to establish a unique partnership with the media. Acknowledging the media’s power for telling important stories, generating buzz, building momentum and unifying voices, stakeholders are increasingly coming together to better harness the credibility and reach of journalists. This experience is proving that journalists can become nutrition champions. Important social mobilization work has been done to keep a steady drumbeat of nutrition advocacy, communication and activities to generate awareness and build momentum. The Behaviour Change Working Group, which comprises all key actors operating in the health, population and nutrition sectors, jointly formulates effective strategies for harmonizing nutrition communication messages and best practice. A variety of television spots create awareness of appropriate IYCF practices amongst caregivers and also to stimulate interest amongst decision makers. High level roundtable discussions have taken place: on multi-sector nutrition, chaired by BRAC Chairperson Sir Fazle Hasan Abed; on implementation of the BMS Code, held by NNS and chaired by Dr. SK Roy and Professor MQK Talukder; recent multi-sector roundtable on nutrition sensitive policies and interventions in Bangladesh, arranged by the Ministry of Food, as part of an intensive training for government staff, supported by the Food and Agriculture Organisation (FAO). 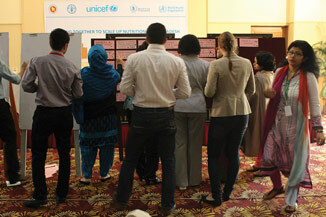 Nutrition champions can help spearhead awareness campaigns and continue to lend their support. The UNICEF Ambassador, Sakib Al Hassan, Bangladesh’s most popular cricketer, was a prominent nutrition champion in a recent campaign during the International Cricket Council (ICC) World Cup. 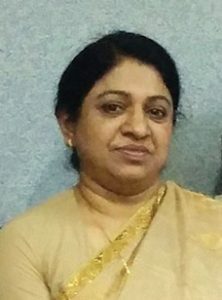 Nutrition policy champions are also beginning to emerge, such as the State Minister for Women’s and Children’s Affairs, Meher Afroz Chumki. There are signs of increasing interest from the Prime Minister’s Office, and the nomination of Nutrition Focal Persons are soon expected in all relevant ministries. This all points to growing good will for prioritizing nutrition across government, although more ownership for effective collaboration is still needed. Plans are underway for the National Launch of SUN and a Multi-sector Nutrition Knowledge Sharing event, using the Common Narrative on Under-nutrition as a key advocacy document. Key areas of focus in 2014-15 will be: to finalize and implement the joint national advocacy and communication strategy on nutrition, continue to build media partnerships and expand and strengthen the SUN Multi-Stakeholder Platform under strong government leadership – because nutrition is everyone’s business. Despite many challenges, individual interest and commitment, coordination and concerted cooperative efforts can generate successful advocacy and reach new audiences with key communication messages. Avoid reinventing the wheel by ensuring use of existing resources of all stakeholders and coherence and sharing to avoid duplication. The potential for nutrition stakeholders to better advocate, mobilise and communicate needs to be maximized. Unpack the multi-sector approach in a manner which all sectors can understand and act upon. All nutrition actors need to actively plan how they communicate complex issues like multi-sector nutrition to the media. Newsroom support from editors is essential to drive media coverage. New data are continually required to maintain a steady flow of accurate and newsworthy information. The capacity building of civil society and non-governmental organisations working at the grassroots level is needed to support effective nutrition specific and sensitive programmes and sustain advocacy and communication momentum.